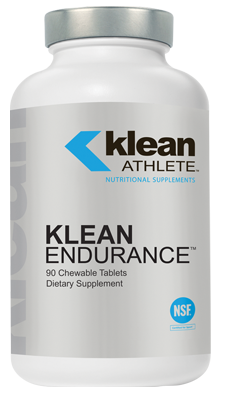 Klean Endurance™ by Klean Athlete™ is a NSF Certified for Sport® all natural D-Ribose chewable supplement clinically proven to help restore and replenish cellular energy. D-Ribose is a natural pentose sugar that creates ATP for the support of fatigue, energy production, and mitochondrial function†. 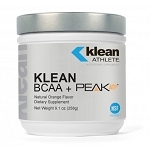 Klean Endurance chewable tablets are sweetened naturally and contain natural orange/vanilla flavoring. Klean Endurance contains pure D-Ribose, a safe and clinically researched ingredient that supports the natural way our bodies produce adenosine triphosphate (ATP), the energy currency of the cell. †. Our bodies must have an adequate supply of d-ribose to form major cellular constituents such as our genetic material (DNA and RNA), numerous cofactors, certain vitamins, and, importantly, adenosine triphosphate (ATP). D-Ribose accentuates the body’s natural process of energy synthesis. 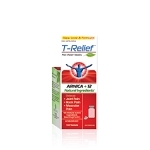 It helps to reduce the loss of energy during stress and accelerates energy and tissue recovery.† Through this action, D-Ribose helps muscles regenerate lost energy and potentially minimizes any physiological consequences of this energy depletion situation. Energy depletion contributes to a variety of consequences that may negatively impact muscle performance or how we feel after exercise. The loss of energy in muscles directly contributes to the common symptoms of stiffness, soreness, weakness, and pain due to exercise†. Protein synthesis, of vital importance to athletes, can also be affected. Other ingredients: Xylitol, cellulose, hydroxypropylcellulose, natural orange and vanilla flavors (milk), citric acid, mannitol, vegetable stearate, stearic acid, natural palm wax(Copernicia prunifera), and silica. CAUTIONS: Mild, transient hypoglycemia may occur if taken on an empty stomach. Insulin dependent diabetics and pregnant women should consult their physician before use. Although D-ribose is a pentose sugar, it does not raise blood sugar levels. D-ribose is rapidly and readily (~95%) absorbed with peak blood levels found within 30 – 45 minutes after ingestion. Van Gammeren D, D Falk, J Antonio. Cur Therapeut Res, 2002;63(8):486-495. Wagner DR, U Gresser, N Zollner. Ann Nutr Metab, 1991;35:297-302. Gebhart B, J Jorgenson. Pharm, 2004;24(11):1646-1648. Hellsten Y, Skadhauge L, Bangsbo J. Am J Physiol Regul Integr Comp Physiol. 2004 Jan;286(1):R182-8. D.Van Gammeran et al.Current Therapeutic Research. 2002. Vol 63.8. Sahlin K, Tonkonogi M, Söderlund K. Acta Physiol Scand. 1998 Mar;162(3):261-6. Review.